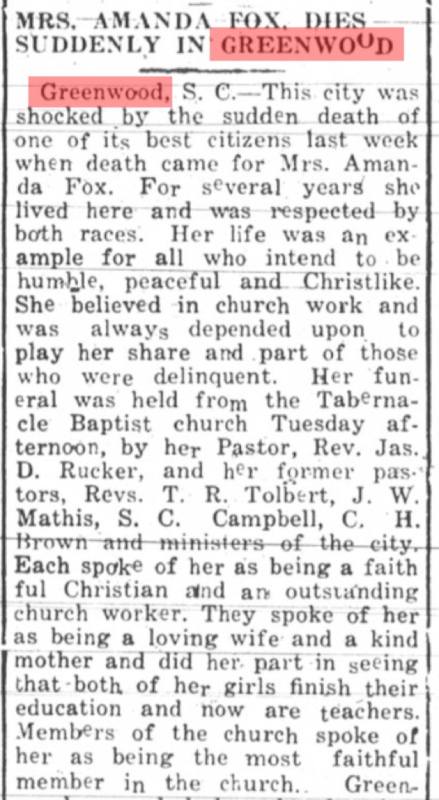 After you find an obituary about an ancestor, what else are historic newspapers good for? 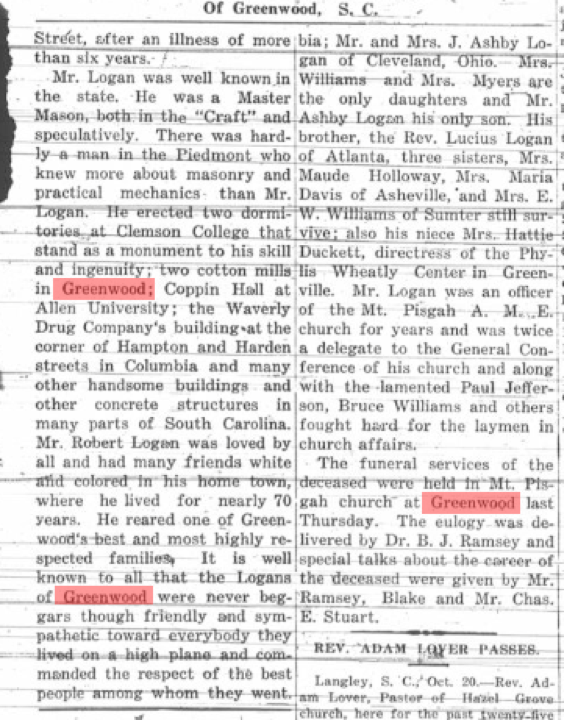 Newspapers can tell you a great deal about what went on in your ancestor’s time period. African American newspapers bring to light burials, education, masonic lodges, ministers, political activities and so much more. They reveal much more about the everyday lives of our ancestors. Unfortunately, these newspapers are still too dormant. We are pacified with names and dates when we could learn so much more. We want to research back to 1865 and before. Some of those same people are living down through the 1950’s. How much easier would it be to use the newspaper to develop a timeline going back. We can use newspapers that are local to document our ancestors and their communities. 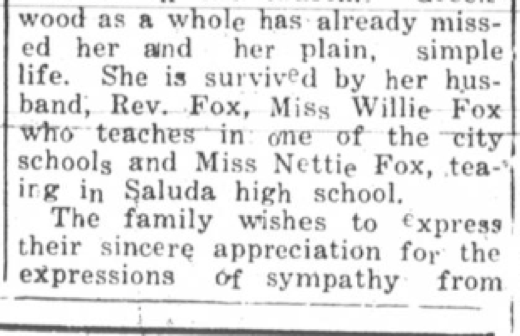 Then we can branch out and use newspapers from different areas that reported news about the ancestors. Sometimes they reported the same things, or better yet the newspaper reported news that was not found locally. Let’s take the area of Greenwood, South Carolina. 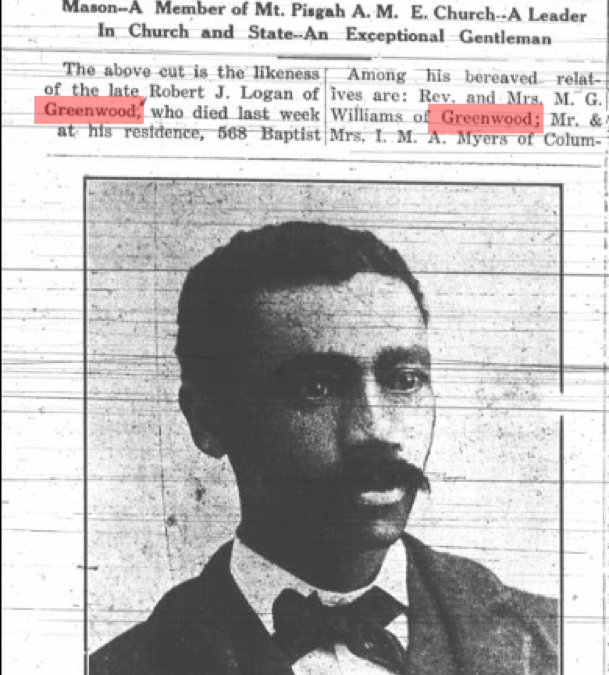 Using The Palmetto Leader which was published in Columbia, I searched for mentions of Greenwood. I found 1,653 pages with mentions. That is exciting especially since The Dial, the African American newspaper in Greenwood has not been found. It is mentioned in the local Greenwood paper at least two times. 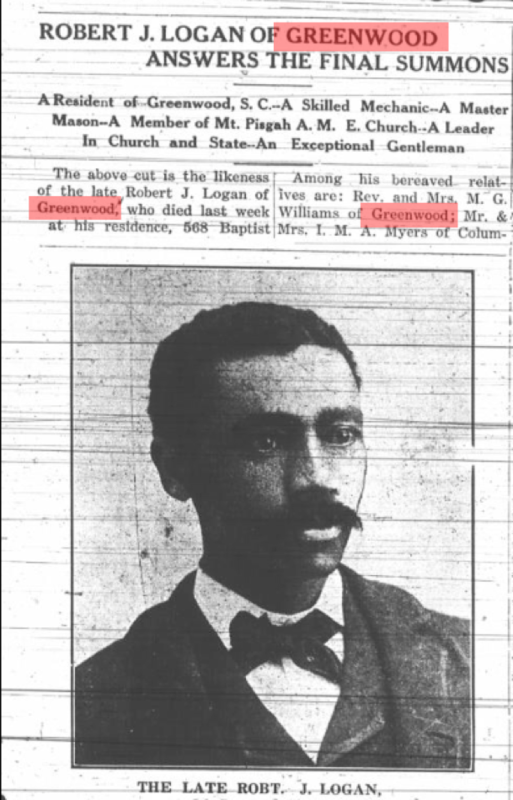 Here is an article about Robert J. Logan, “Master Mason.” The article gives his address, his business, relatives, and his service at Mt. Pisgah AME Church. Clearly, we could research his life further given what the article includes. These are just three of many articles in The Palmetto Leader having to do with Greenwood, South Carolina. The Palmetto Leader brought news from across the state and beyond. 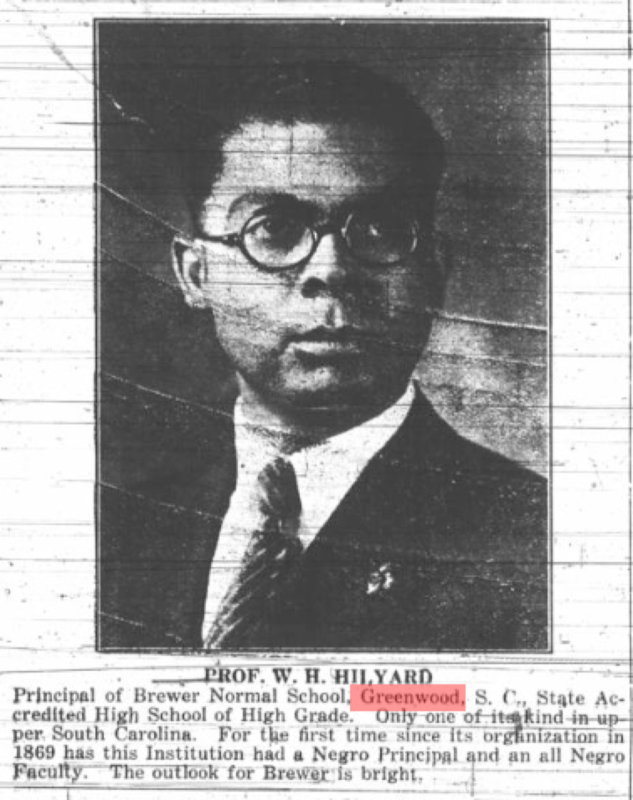 Research The Palmetto Leader for people or places in South Carolina. For example, to find Greenville, select The Palmetto Leader and just put in “Greenville” under pages containing these words. Let us know what you find in our Facebook Group.